Known as the county seat of Fort Bend, one of the fastest growing counties in the country, the city of Richmond offers the convenience of city amenities, while maintaining its small town, country vibe. Richmond is a wonderful community nestled between Katy, Sugar Land and Fulshear with easy access to the Westpark Tollway, the Grand Parkway and 59. Buyers are attracted to the area due to its great location, access to shopping in all of the surrounding cities and favorable tax rates. The communities in Richmond are not only centrally located but they feature wonderful walking and biking trails and recreation centers. 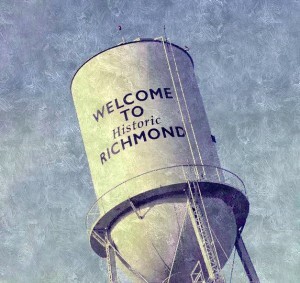 Richmond has a growing population of close to 15,000, and is home to the county courthouses and local government buildings, thus offering a steady number of employment opportunities in government, food, and clerical fields. Situated on the banks of the Brazos River, Richmond offers a rich cultural history and many landmarks and houses have been deemed historical monuments by the state of Texas. Whether strolling down the picturesque town center or exploring the George Memorial Library, Richmond offers a rich family life while providing a quick and easy commute into Houston and surrounding areas. The average list price for a home in Richmond is $361,307 and has a median square footage of 3,050. Richmond has wonderful communities from Aliana, Lakes of Bella Tera, Creekside Ranch, Fieldstone, Long Meadow Farms, Lakemont, Grand Mission, Westheimer Lakes, Waterside Estates to some of the more mature golf course neighborhoods like Pecan Grove and those that offer land and mature trees like Royal Lakes, Bridlewood Estates and Texana Plantation and Sovereign Shores. Richmond area students are zoned to two of the top rated school districts in the state of Texas: Lamar Consolidated and Fort Bend Independent School Districts. These education systems, along with various private school options, have increased the city’s appeal and popularity over the last decade. Richmond is growing by leaps and bounds and is offering wonderful shopping and entertainment such as Santikos Palladium AVX Entertainment, a showcase Gallery furniture with Brick and Mortar restaurant located inside, Sushi Hana, El Pollo Loco, WalMart, Pier One and more. Shopping and entertainment have definitely made their way to Richmond!